A grainy Illustrated London News photograph from 1929 shows a giant monkey known as the ‘Mono Rey’, inhabiting the jungles of northern Bolivia. The last westerner to attempt a sighting disappeared. 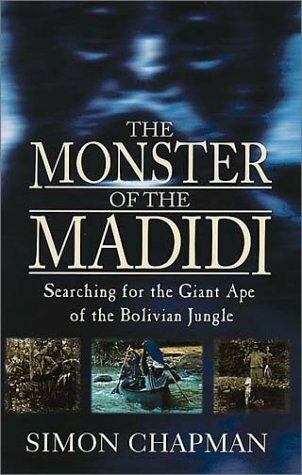 Accompanied by an Englishman whose hobby is fighting mock mediaeval battles and an Australian who smoked the pages of his South American Handbook, Simon Chapman took an all-too-collapsible canoe up Bolivia’s Madidi river to try and find that mythical monster. In the classic English tradition that sets about turning a mad idea into an utter absurdity, Charlie, the Australian, proved more adept at catching improbably large fish than steering the canoe. Worst of all, each rare encounter with a human being brought reports that there was no monster after all..
View more books in the genre "Non Fiction". View more books in the genre "Published".